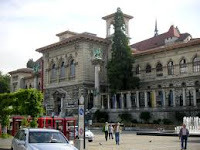 To facilitate access to Master`s degrees by students with qualifications from foreign universities, the University of Lausanne makes available around ten Master`s grants which are awarded on a competitive basis. Candidates must choose a Master`s programme from among those offered by the UNIL, except the Master of Medicine. The grant may not be used for any complementary studies required to enroll on the Master`s degree and may not be used for EMBAs or Masters of Advanced studies. The amount of the grant is CHF 1,600.- per month from 15 September to 15 July, for a duration not exceeding the regulation minimum period of the programme (according to the programme, one-and-a-half years or two years subject to deduction for paid placements or exempt semesters, if any). Abandonment of the programme results in suspension of the grant. The candidate must be the holder of a degree from a foreign university. The qualification held by the candidate must be deemed equivalent to the UNIL Bachelor`s degree. Candidates complete the “UNIL Master`s Grant” form and submit their application to the Office for socio-cultural affairs (SASC, Unicentre, University of Lausanne, CH-1015 Lausanne, info.sasc@unil.ch) by 15 December 2011 at the latest. The application is examined by the University Rectorate to determine whether the candidate is admissible. In the event of a positive decision, the application is forwarded by the SASC to the UNIL Faculty responsible for the Master`s on which the candidate wishes to be enrolled. The Faculty selects applications and notifies the SASC of its opinion based on the candidate`s qualities, motivation and suitability for the Master`s programme. The SASC forwards shortlisted applications to the selection committee which will award grants to students meeting all criteria according to the available budget. Decisions are not open to appeal. The grants are intended more particularly for students who distinguished themselves in their university studies and who have difficulty meeting their financial needs for the duration of the Master`s. It is however necessary that the candidates have sufficient financial means to support themselves during the complementary studies that may be required prior to enroll on the Master`s degree. Applications must reach the Office for Socio-Cultural Affairs before December 15, 2011. Demikian kami sampaikan tentang 10 Master Scholarships at University of Lausanne semoga informasi tentang 10 Master Scholarships at University of Lausanne ini bermanfaat.